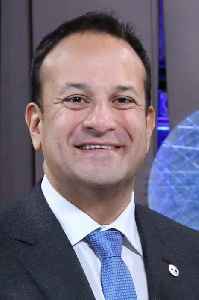 Leo Eric Varadkar is an Irish politician who has served as Taoiseach, Minister for Defence, and Leader of Fine Gael since June 2017. He has been a Teachta Dála (TD) for the Dublin West constituency since 2007. He previously served as Minister for Social Protection from 2016 to 2017, Minister for Health from 2014 to 2016 and Minister for Transport, Tourism and Sport from 2011 to 2014.